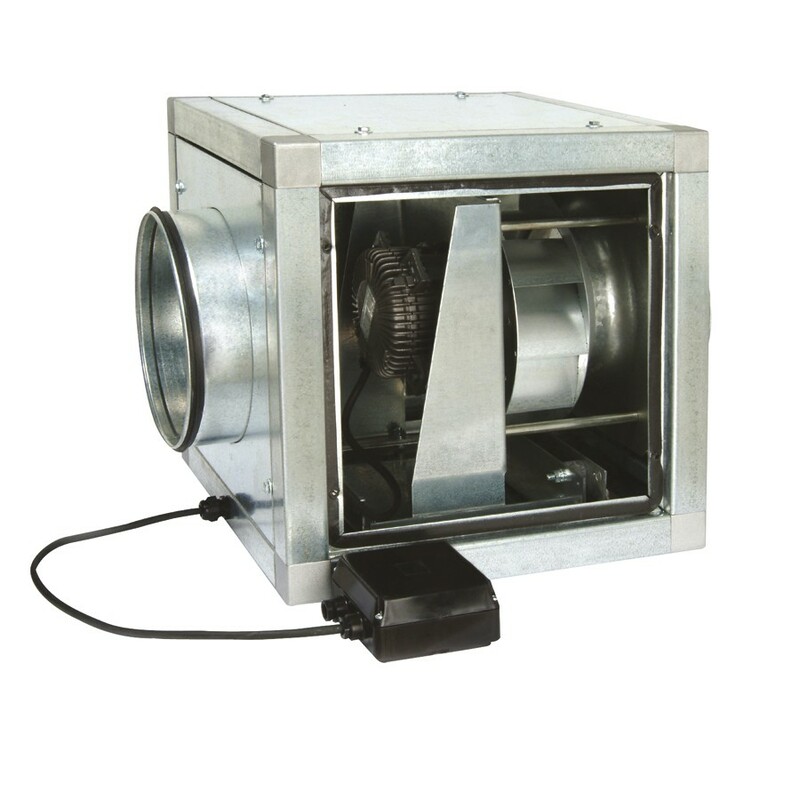 Range of in-line cabinet fans, manufactured from galvanised steel sheet with double thickness side panels internally lined with 17 mm thickness of fireproof fibreglass acoustic insulation (M0). All models incorporate backward curved centrifugal impellers, dynamically balanced and are supplied with circular duct connection flanges and remote terminal box. Available, depending upon the model, with single phase or three phase motors in 4 or 6 poles. All the motors are IP55, Class F(1) insulation, with thermal protection (2). Air stream temperature limits -40ﾺC to +70ﾺC. 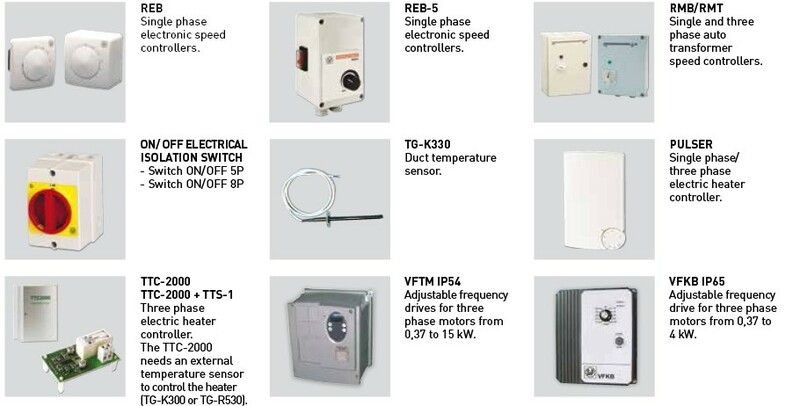 Models /4-9000 and /6-6000 to /6-17000 suitable for usage in environments up to +40ﾺC). Except models 6000 to 17000. Backward curved centrifugal impellersTo prevent accumulation of dirtiness. Dynamically balanced. Double thickness side panels internally lined with 17 mm thickness of fireproof fibreglass acoustic insulation (M0), to reduce significantly the radiated noise. 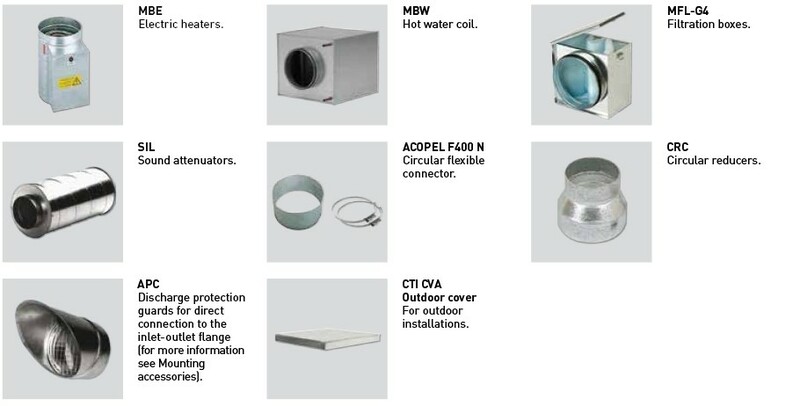 Quality finished aluminium corners providing a great robustness.